Mia Lagerman was born in Stockholm and graduated in furniture design from Konstfackskolan, Stockholm (1986-1991). In 1988 she studied at The Royal Danish Academy of Fine Arts. In 2006 she set up a... Read more studio of her own; Mia Gammelgaard Design.In 2011 Mia was among four other danish designer invited by the Danish Arts Foundation Committee for Crafts and Design, to take part in the prestigious competion of making new furniture for the Trusteeship Council Chamber, also called the Finn Juhl chamber, in the UN building, New York.In 2012 she became Chairman of the Danish association SE, Snedkernes Efterårsudstilling. She has been awarded with Red Dot, Excellent Swedish Design and Elle Interiör Design Prize. 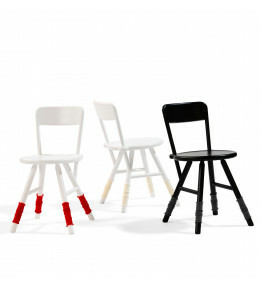 Lacquered wooden Hippo Chair with leg warmers is ideal for breakout, cafe and restaurant interiors. 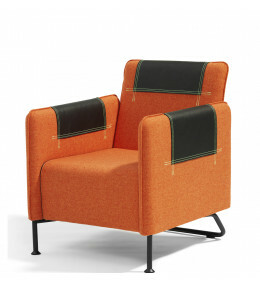 Taylor S36 Easy Chair with leather details and strong stitches in striking neon colours, white or grey. 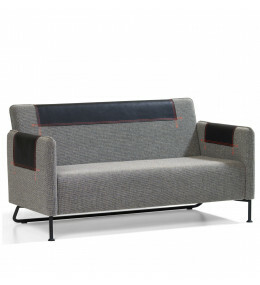 Taylor S37 Seating features details in black Tärnsjö leather with constrast neon stitching.